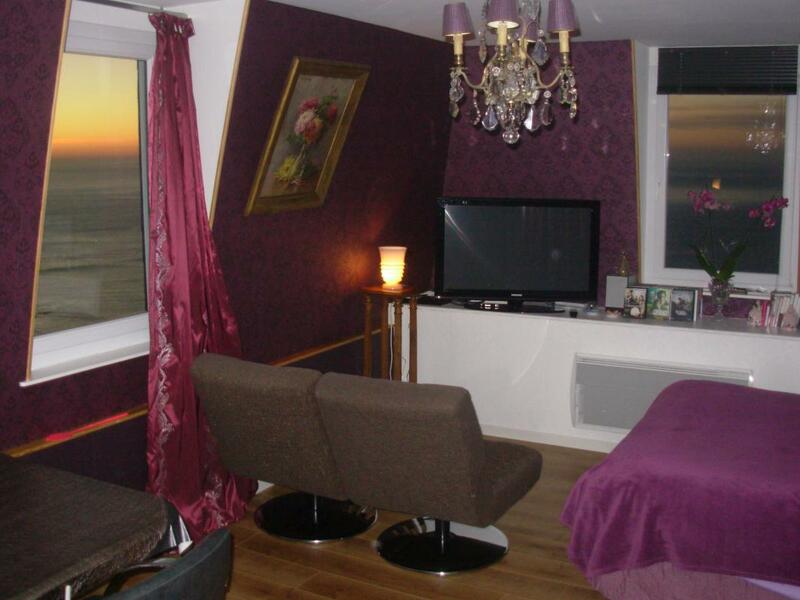 Furnished apartment for 2 people, overlooking the sea, on 3rd floor of residence 'Les Hublots', at place known as Le Bois de Cise near Ault. Cosy little love nest. Large living room with sleeping area, lounge and kitchen areas, separate breakfast room, shower room.|Bed made on arrival, household linen and towels supplied. Travel light - you will find everything you need on-site. Fantastic view!